Mother’s Day is this weekend! There are plenty of things going on Sunday which is Mother’s Day, but why not celebrate early also? I know our family will celebrate it a little extra this year, it is my oldest daughter’s first Mother’s Day as a mother and my first Mother’s Day as a grandma! They are coming all the way from Wisconsin to visit and I can’t wait! 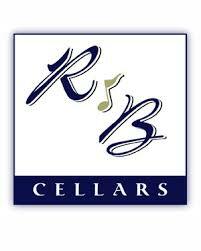 Diana Hunter from R&B Cellars will be pouring wines this Friday at Vino!! Wine Shop here in Pittsboro. 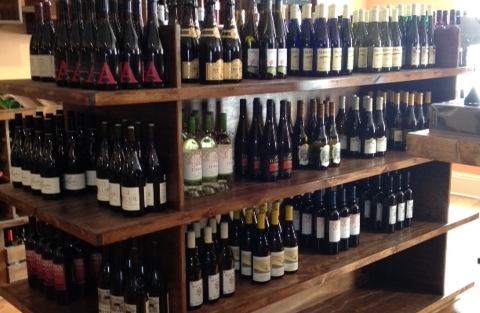 Enjoy some yummy California wines from 5pm-7pm. 2012 R&B Cellars Sauvignon Blanc, North Coast, California $15.99: 100% Sauvignon Blanc that is lean and crisp with lots of mineral tones and vibrant, crisp citrus flavors. Ruby red grapefruit combine with exotic citrus tones of Mandarin and blood oranges. NV R&B Cellars Improvisor Red Table Wine, California $15.99: Delicious, fruity, drinkable red blend of Zinfandel, Mourvedre, Barbera, Cabernet, Petite Sirah, and Merlot. Fresh nose of raspberry, blackberry, cherry, and strawberry, with hints of blueberry, vanilla, spice and oak. Wonderfully balanced, smooth, and juicy! 2014 Blazon Pinot Noir, Lodi, California $14.99: Pinot Noir blended with a little bit of Zinfandel make this a bold, juicy red people can’t get enough of! Aromas of boysenberry jam, cherry pie, and cedar. Monster fruit on the palate – cassis, hints of tobacco and blueberry. 2012 R&B Cellars Zydeco Zinfandel, Napa Valley, California Reg. $33.99, SPECIAL $29.99: Zinfandel lovers you are going to love this wine! 100% Zinfandel aged in French oak. Dark, rich and intense with juicy blackberries and dark black cherries. The French oak adds hints of chocolate and toasty vanilla tones and exotic spice on the finish. Long and mouth filling finish. 2012 Calini Moscato d’Asti, Piedmont, Italy $15.99: 100% Moscato, this is a sweet, slightly frizzante white with aromas and flavors of honeycomb, melon and nectarine. A fruity, sweet light-to-medium body and a tangy apple sauce and lemon sherbet finish. It sounds like there is something for every type of wine drinker and the best part of this Mother’s Day wine tasting is that everyone who brings their mother to this tasting will receive 10% off their purchase of anything in the shop!